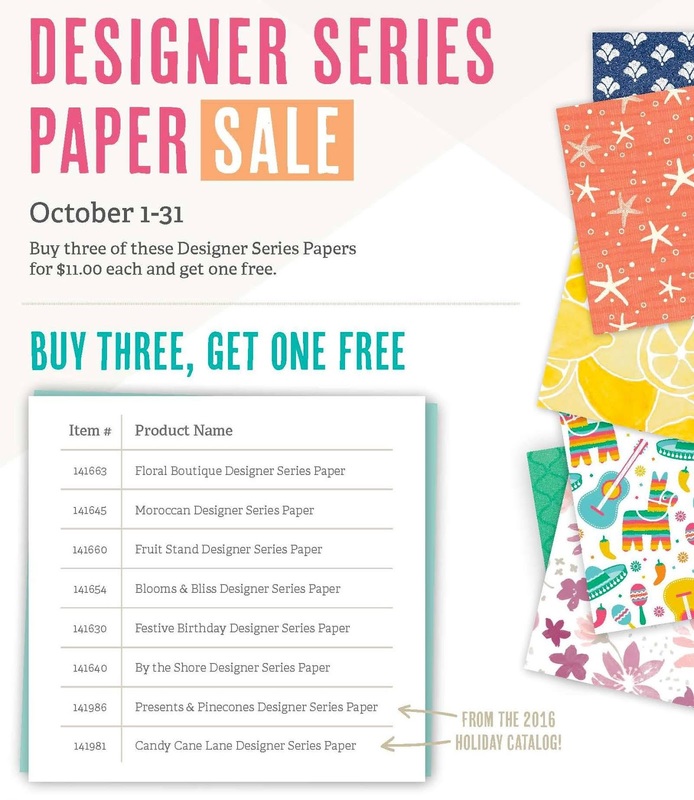 I hope you will join me for one of my fall Stamp-a-Stacks. 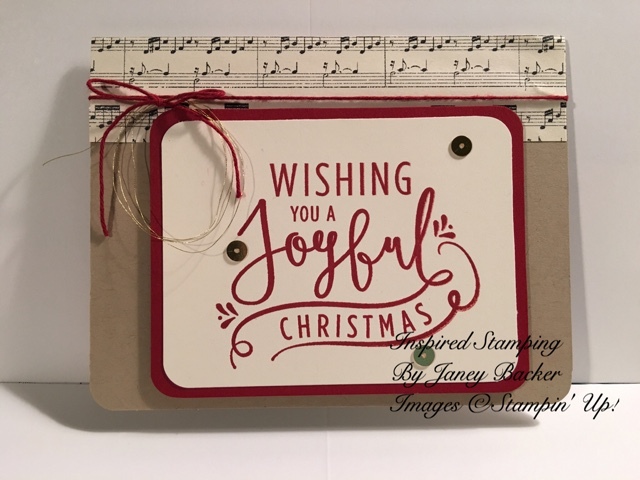 This type of class offers 4 different designs and you make 5 cards of each design so you end of with 20 cards! 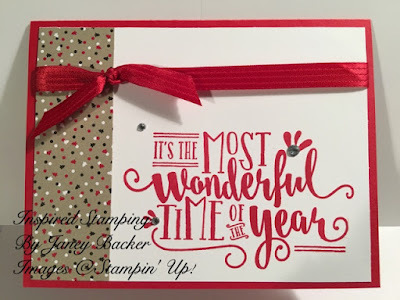 "Wonderful Year" has great stamp images and makes quick cards. 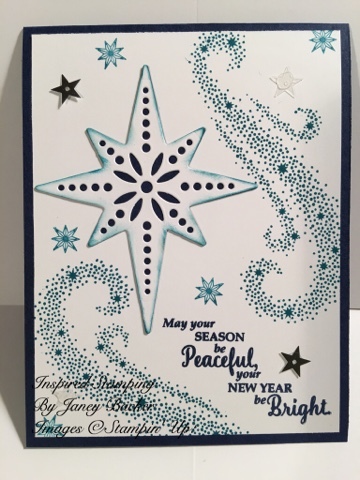 "Star of Light" is a spectacular stamp set and makes gorgeous cards. 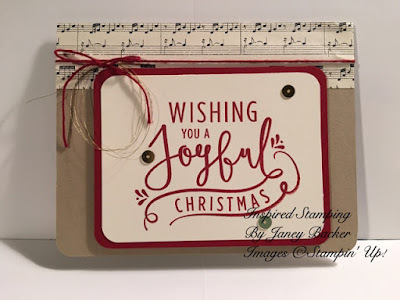 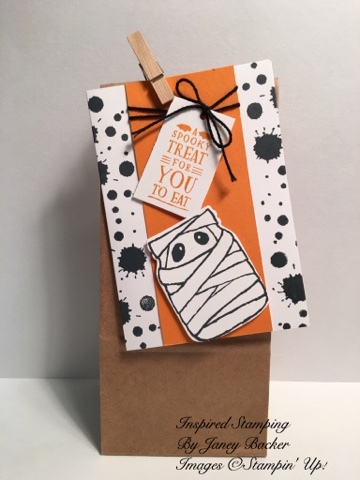 Using another stamp from "Wonderful Year" to make this fun card front. 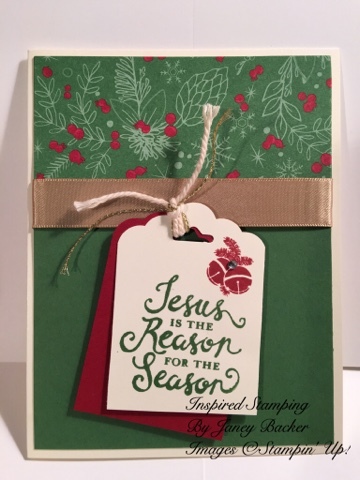 "Reason for the Season" stamp set, isn't it a beautiful font?!? You can join me on October 14, 15 or November 12. RSVP and $25 due 12 days before class. 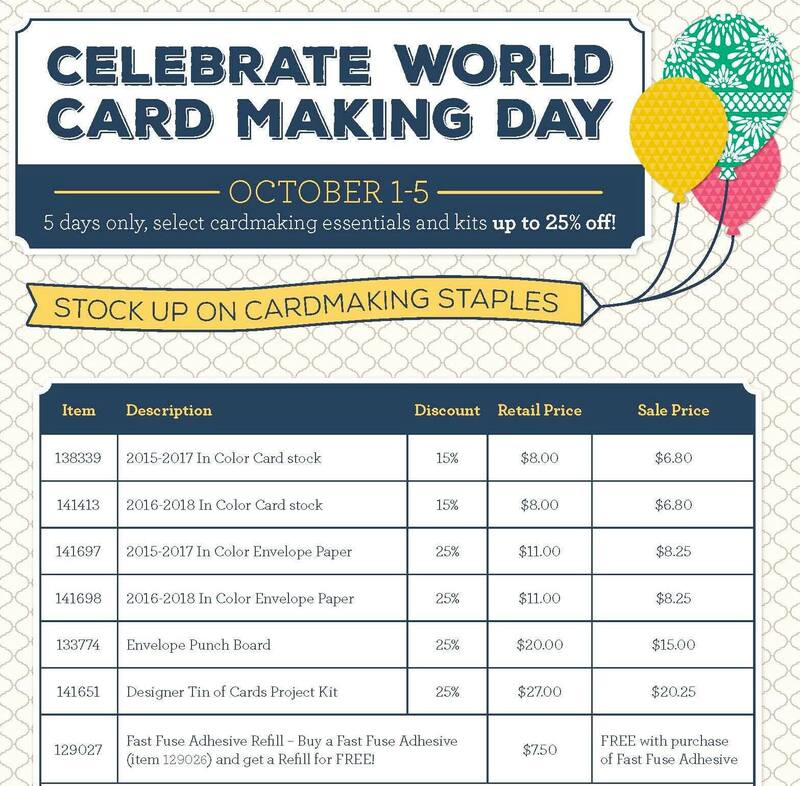 Additional cards can be made for $1 each, pre-arranged. Please bring scissors, bone folder, and your favorite adhesive: snail, glue, and dimensionals recommended. 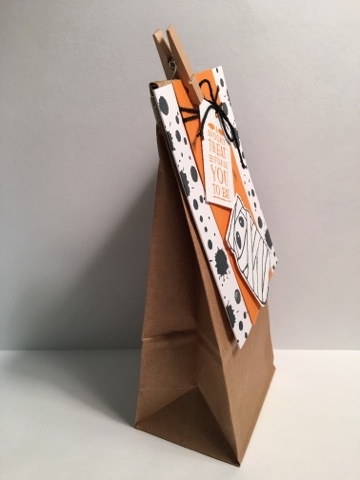 Envelopes not included. 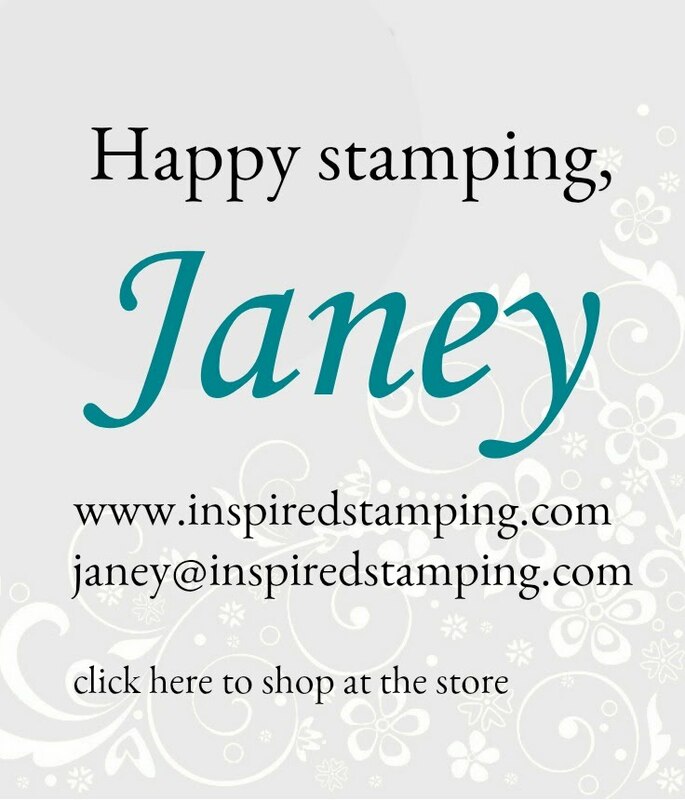 Contact: Janey Backer 867-1164 janey.backer(at)gmail.com.